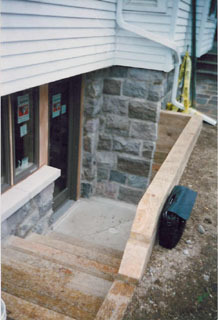 A new basement entrance made of fieldstone was what was required for this job. 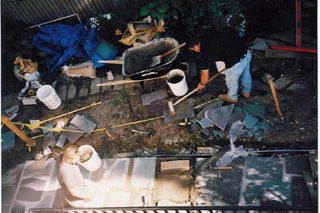 Part of this 3 story Ann Arbor home had to be supported with steel shoring posts in order to create the needed opening. The homeowner liked the entry so much she wanted us to build a slate walk leading to it.